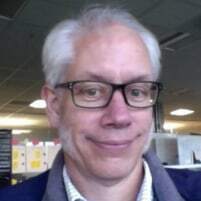 Hi, my name is Bob Martin, and I'm an Agilist; and no, I'm not Uncle Bob (i.e., the Bob Martin that signed the Agile Manifesto). I'm a Principal Consultant at Elabor8, where I work with multiple clients in a wide range of industries. I also consider my self very fortunate to work at Elabor8, with a fantastic group of Elabor8 consultants and staff, where the learning never stops. Before I moved back to Melbourne (in early 2017 from Atlanta, Georgia in the US) I was the Agile and Lean practices lead, and a coach, at The Weather Company (TWC). Prior to our 'formal' Agile transformation kick-off event in 2012, I worked with the product org within TWC helping them to develop better ways to identify and communicate the user and business needs. Before that I was an IT grunt working my way from Mainframes to Architecture, including a stop off to run a small PMO. When I left TWC in March, 2017 I was supporting multiple business units and product organisations, with ~ 25 teams and their leadership. I've had the opportunity to work with, and be mentored by some great coaches along the way, either by a direct working relationship, workshops, the local coaching community, and/or through the Agile Alliance conferences. I was a co-organiser, and occasional presenter of the Alpharetta Agile Meetup, and I also attended and occasionally facilitated the Atlanta Limited WIP Society Lean Coffee. I sometime struggle with the term 'Agile Coach' because of the different assumptions people have with that role, and the necessary inclusion of philosophies and practices from Lean, Cynefin, Systems Thinking, etc. I like to help teams grow and to be as effective and happy as possible.